Did you know Nov 2 is Dia de los Muertos? 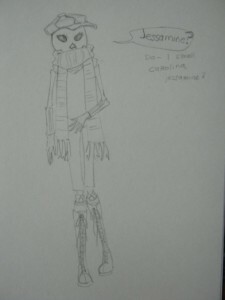 Jessamine is a lovely young skeleton lady who died an early death (reasons as yet untold). In the world of Helvetica, the first word you say after death is your name. Jessamine apparently smelled some Carolina Jessamine (a beautifully scented flowering ivy) when she awoke into death and noted it. She enjoys spending her time crafting clothes for herself and prefers to hide her face (reasons untold). 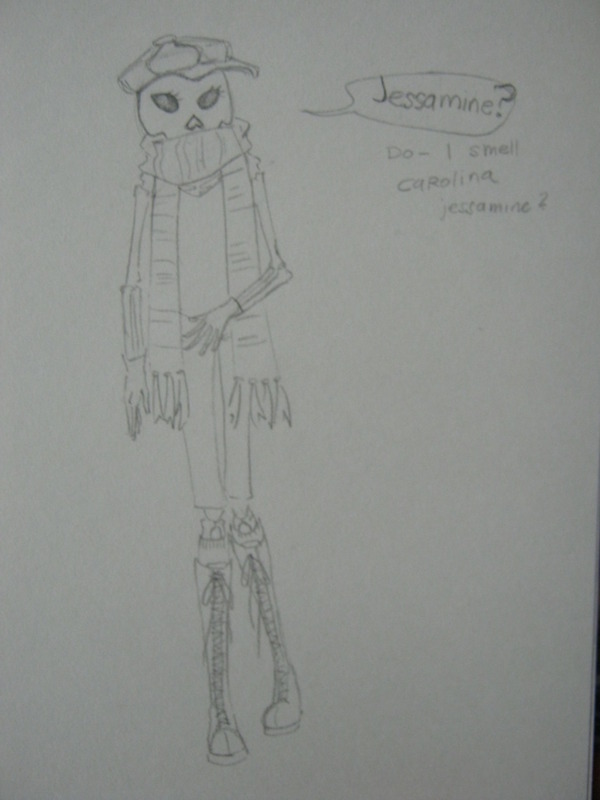 Jessamine died in her early 20s, she’s shy and quiet . One could assume she died a lonely death. age 26, female, in the largest state in the continental united states of america. I am into a lot of things and I dislike a lot of other things. Ask me about things sometime.